Heading into the Oklahoma City Memorial Marathon undertrained due to a 3 week battle with the flu, I stopped in at Tulsa Runner to find a slightly more forgiving road shoe to protect me as I ramped up my mileage way too quickly. My original plan had been to train mostly in Newton’s and run in an existing pair of Brooks Pure Cadence, but after a couple of long runs, I knew I couldn’t get my lower legs ready fast enough without injury. So I tried on a few different shoes and eventually settled on the Altra Provision. This is actually my second pair of Altra shoes. My first, the Lone Peak 2.0, served me reasonably well on the trails but disappointed me some in their durability. Nevertheless, they are a good pair of trail shoes. My experience with the Provision, however, has not been all that good. In fact, the experience has been literally flipped upside-down from the Lone Peak 2.0’s. The last time I blistered to any significant degree was when I trained for my first marathon in cotton socks and tennis shoes. I may have had wicking shirts, but yes, I was the newbie in cotton socks carrying around bandaids and athletic tape to deal with all of my well-deserved blisters. 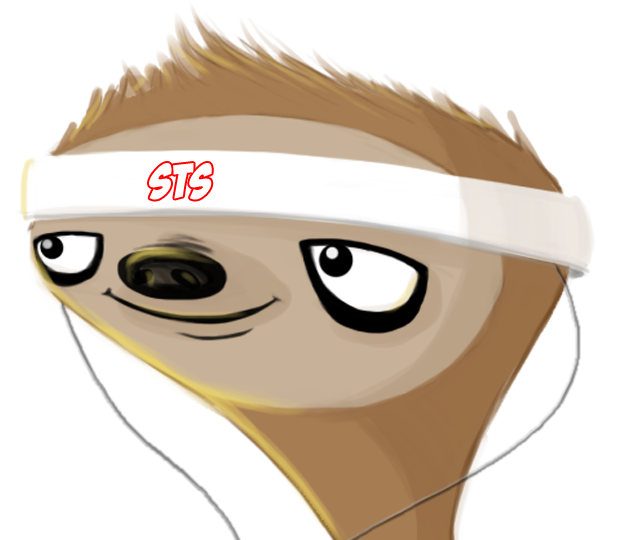 In my mind, blisters were just part of running because they had always been a part of tennis. Fast forward a few months, and I discovered Injinji socks. The blisters were just gone. I could run as long as I wanted, and my feet would not blister. In fact, I haven’t had a significant blister in 3 years of training for trail and road races from 5K to marathon distance. That is, until the Altra Provision 2.0. I’ve worn the Altra Provision 2.0 on a half marathon distance run, a 20 miler, and for the Oklahoma City Marathon. In all 3 cases, I was wearing Injinjji OTC Compression underneath Injinji original weight socks, and in the case of the OKC Marathon, I had a bandaid on my big toe as further protection. In all 3 cases, my big toe on my left foot was blistered severely. Let me make the absurdity of this a bit more clear. The spot that blistered was a ridiculously thick callous formed back in 2007 while I was playing tennis. That skin was so hard you could cut it with a knife, and I probably wouldn’t feel anything. It hasn’t blistered since cotton socks and tennis shoes with a ton of side-to-side movement over 8 years ago. I have run hundreds of miles between Vibram’s, Newton’s, Brooks‘, Pearl Izumi’s, and even my Adidas tennis court shoes without blistering that particular piece of skin. Nevertheless, even with 2 layers of Injinji and a bandaid, the Altra Provision 2.0 blistered my toe like this repeatedly. 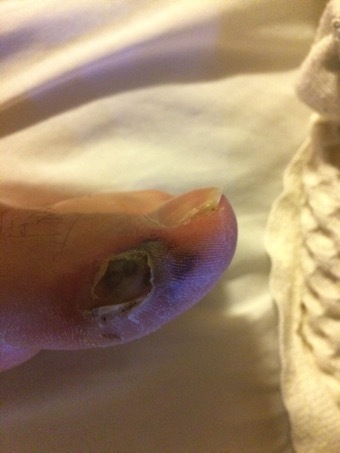 One major selling point of the larger toe box with Altra shoes is NOT having something like this happen to your feet/toes during a run. That’s right, my Altra Provision shoes bruised my foot. Admittedly, this wasn’t as egregious an issue as the blistering, but it’s something I’ve never experienced with any other shoe I’ve worn. My photography the day after my marathon was somewhat poor, but if you look closely, you should see two different bruises on the top of my right foot. One is just behind the big toe, and the other is midway between the pinky too and my leg. I’m honestly not sure how the shoe did this or why it was only my right foot affected, but somewhere in the last 10K of the Oklahoma City Marathon, I started feeling significant pain in both of these areas. My best guess is that something in the upper or the tongue was jabbing the top of my foot as I ran. The left foot was strangely unaffected much like the right was strangely unaffected by that blistering on my left. Not unlike my experience with Newton’s, I found it very challenging to secure the Altra Provision on my heel. This often led to tying the shoes too tight around my ankle which caused a significant amount of discomfort. The tongue is a good thickness, but for whatever reason, it still wasn’t enough. For the Oklahoma City Marathon, I actually resorted to an alternate lacing method to reduce the pressure on my ankle but still get the shoes secure on my feet. It’s hard to see in the picture, but I skipped one hole before the last two at the top, went through both of those on the same side, and then crossed back to the skipped hole to tie in the middle. This allowed me to secure the upper sufficiently but transfer the pressure on my foot below where the laces were causing discomfort. If you spend some time on Google, you can discover a variety of lacing techniques to circumvent various problems. My experience with the tread and cushioning was much better than the rest of the shoe. 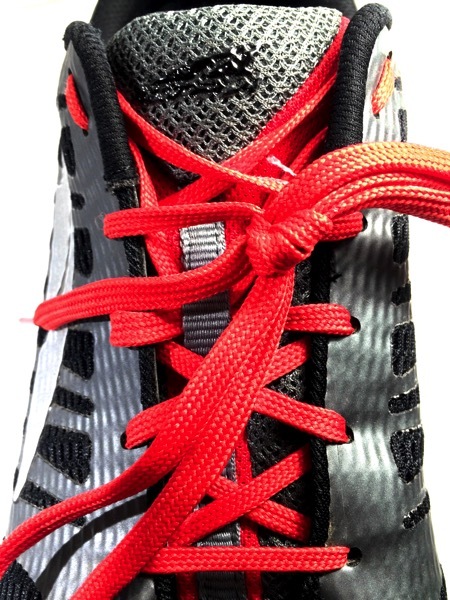 I love the fact that Altra used a tread pattern somewhat similar to the Newton lugs. My main challenge with my Brooks’ in 2014 was that my metatarsals were getting sore because of lack of support in the mid-foot area. I had to use metatarsal pads for the 2014 Tulsa Run and 2014 Turkey and Tatur’s 25K trail race due to the damage from training in Brooks’. Newton’s always felt great in the mid-foot because of the excessive support from the lugs. Now Altra seems to have found a nice space in between the two. The cushioning also worked reasonably well for me for longer runs. I usually run with more minimal shoes so I can feel the ground better. With 3 weeks of missed training due to illness, I bought the Altra’s in hopes that the extra cushioning would help protect my legs. The Provision are not soft and spongy like other maximal shoes I’ve tried. They’re a stiff, supportive cushion that is still fairly forgiving on the lower legs. 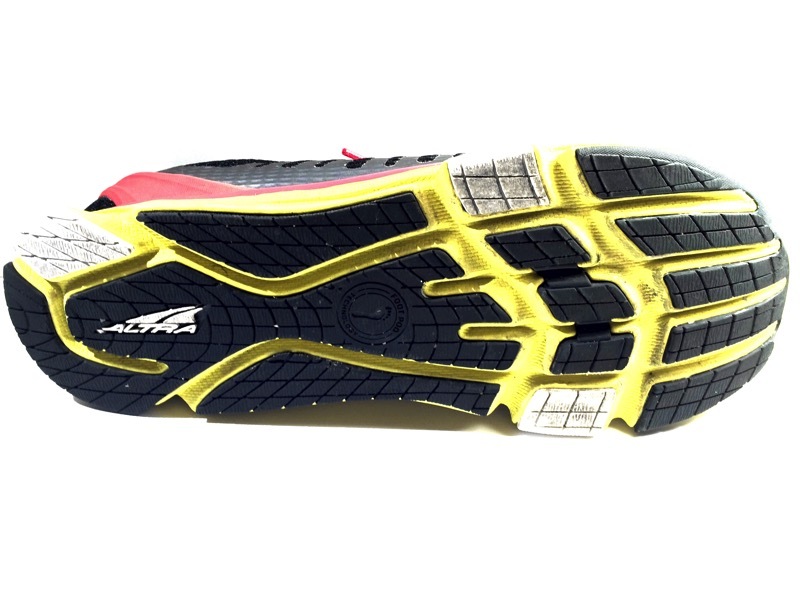 I hate to say it, but if you’re looking for a good stability road shoe, I think you should pass on the Altra Provision 2.0. 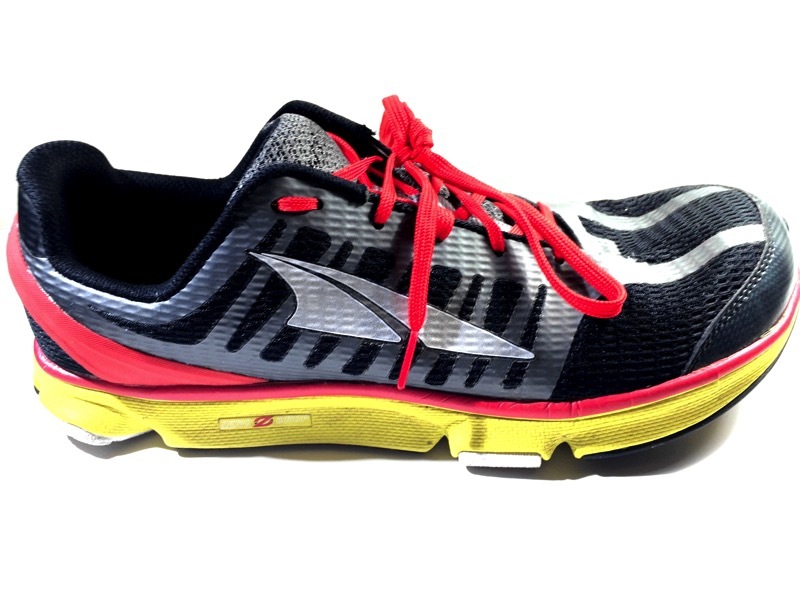 Altra has some work to do on the upper before this can be a good shoe. 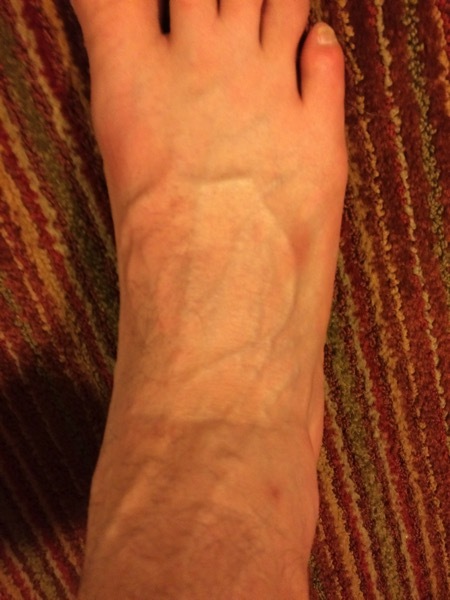 This entry was posted in Product Reviews and tagged altra, altra provision, product reviews, shoes by Jason. Bookmark the permalink.